When I think of what foods Cleveland is known for, certainly Pierogi is right at the top of the list. 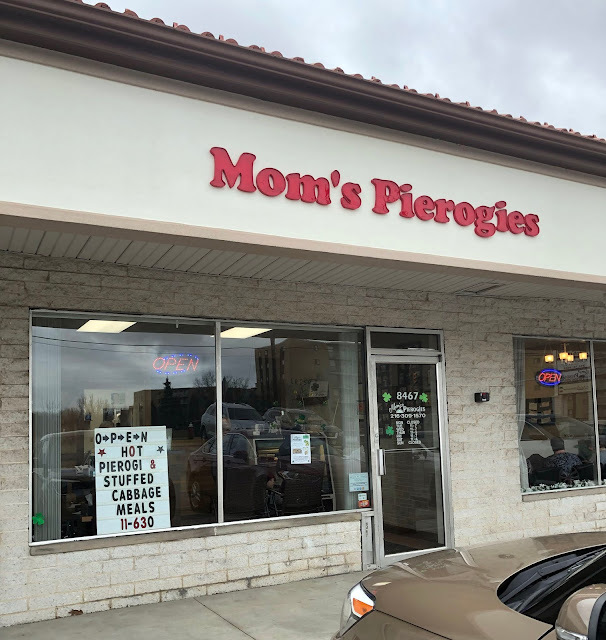 So when Mr. H's long-time hairdresser decided to take her home-based pierogi business to a brick-and-mortar spot (and not far from our neighborhood), we were excited to patronize it. 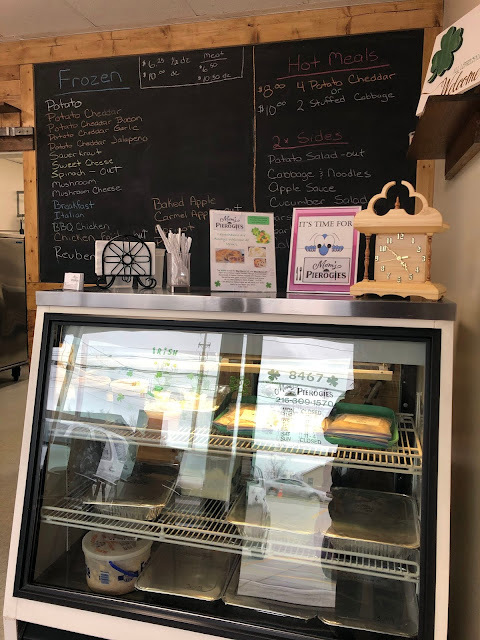 She offers takeout and catering for around 20 different types of pierogi daily, with frozen options and hot meal specials. Including a Fish Fry on Fridays during Lent! 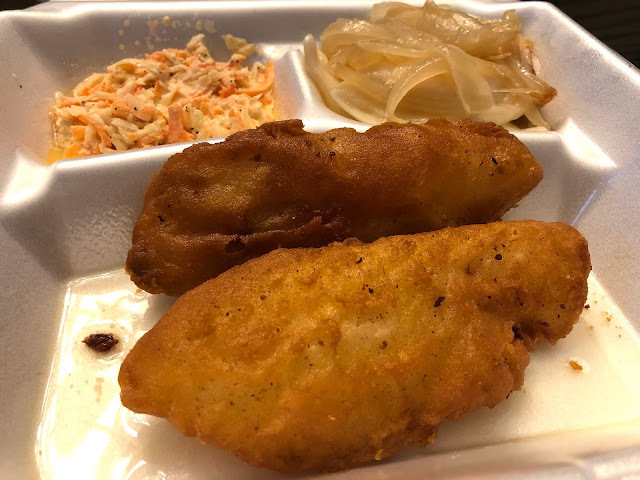 For $10, it includes two beer-battered pieces of cod, two Potato Cheddar pierogi, and coleslaw. Comes with tartar sauce and sour cream. For the sour cream, you can choose from plain or their housemade Garlic. If you're a garlic-lover, this version is a must-try! We took the meals home (with a side of applesauce as well), and the fish was still super crispy and everything hot by the time we ate. We also snagged some Breakfast and Potato Cheddar Jalapeno pierogi for the freezer. Check them out on Memphis Avenue for hot meal takeout, catering, and your Cleveland pierogi fix. I will have to check it out. Thanks! This makes me miss fish so much! 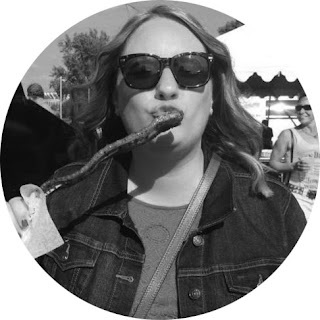 I developed an allergy and can no longer eat it.